Felix Fitzwilliams strives for perfection. He is meticulous in his professional life. His wife, Ella takes care of the household and their teenage son, Harry, who lives with Tourette’s Syndrome. Ella has been Harry’s champion helping him adjust to the nuances of life in the world that doesn’t understand the disorder. Ella quit her job as a jewelry designer to be Harry’s full-time Mum. Felix didn’t have the patience or understanding to deal with Harry. He worried that he would become like his father. Felix makes the money working long hours while Ella devotes herself to family and home. Harry has scored 1400 on the SAT. His mother wants him to choose a college close to home. His father dreams of an Ivy League education. Heart troubles send Ella to the hospital. She needs rest. Felix must take over all of Ella’s duties and care for their son. Felix must find a way to balance his professional and home life, and he discovers Harry is in love, and it appears the girl loves him too. Harry and Ella have an eclectic and eccentric group of friends. Harry and Max have been friends since preschool. Max helps Harry navigate through high school. Eudora is their neighbor, a retired professor with a passion for gardening and knowing when to pop in on father and son. Katherine is Ella’s best friend. She doesn’t care much for Felix, but for Ella she tries. Reluctantly they work together to give Ella the time she needs to heal. Harry must learn to rely on himself and his father. I immediately fell in love with Ella and Harry. I found myself wondering what she ever could have seen in Felix. He had a demanding father, but that isn’t an excuse for being so emotionally withdrawn. The squirrel scene is hilarious. You’ll just have to read it. 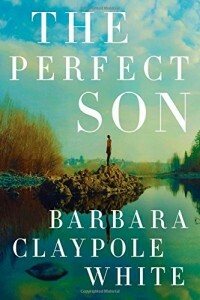 The Perfect Son is about relationships, a young man living with Tourette’s Syndrome, and a love story. By the last page, you’ll understand why Ella fell in love with Felix. I found myself staying up long past my bedtime reading to find out what happened next. Five stars to The Perfect Son. 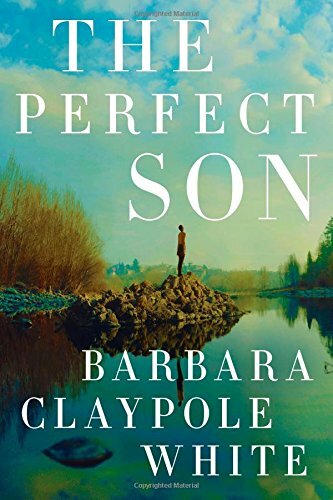 For a limited time, The Perfect Son is a Kindle First pick and available for a special pre-order price. The novel is available July 1.